Choosing a single space in your home to experiment with is a wonderful way to hone your skills as a DIY designer. A guest bathroom is the perfect choice, as it is not heavily used in day to day routines, and its small space makes any project a challenge. Before diving in, keep a few elements in mind in order for your experimentation to go smoothly. Remember that your sink, toilet, and tub are static and immobile as far as a new design concept are concerned. On the same note, these three represent the ever significant triangulation of design and are tied together as such. Don’t be afraid of trying something new- by approaching this bathroom rejuvenation as a DIY weekend project (very important for a learning process), you can allow yourself free reign to succeed, or more importantly, to fail. The worse that can happen is what… painting the walls a hideously dark color that needs several layers of primer to hide? We learn best by learning what not to do, just as we succeed by recalling past lessons. Remove everything you can from the bathroom and take a look at it unadorned. Remove all surface objects including toothbrush cups, towels, and candles. Your space should have a feel of emptiness, and this is helpful when working to revive it. A blank canvas is easier to paint on that one with content on it already. Spend some quality time looking at paint samples and hold them against the walls to determine what best works for you. If you are purchasing new towels and face clothes, the sky is the limit. If, however, your budget requires you to incorporate existing towels, have these in mind when choosing wall color. For a bold look, experiment with contrasting colors from the color wheel. They must be complimentary in tone, but can range widely depending on your choices. Before laying down your chosen paint, consider pulling out your old crown molding for an updated look. Pre-routed or pressed molding can be purchased inexpensively at your local design center or big box store, with a simple miter box or adjustable table saw, you can configure your own joints. Choose decorative molding that is already primed for convenience. Measure twice, cut once- these are valuable life skills for a budding DIY interior designer. Match your molding to your baseboard through either design elements of contrasting surface elements. Do not, however, place a flat baseboard around your guest bathroom’s perimeter and a fancier French baroque themes crown molding and expect them to jive- they simply won’t. Match with common elements, and you will be fine. Once your paint in on the walls and your trim, look at your available surface space and select some bold objects with which to bring your design ideas together. It could be a piece of folk art or functionally repurposed items such as a candle stick used as an earring tree, but here is a wonderful opportunity to experiment. Match colors with the tones set in your paint choices, and don’t go too far off the reservation. As a note, any objects d’art you place in your bath should have some degree of moisture protection, whether it is through the material it’s constructed of a light varnish to seal porous surfaces like chalk, plaster, or wood. 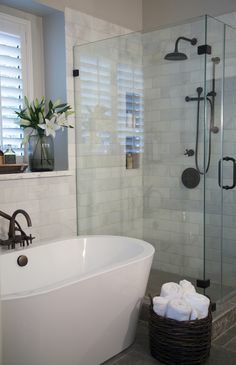 Plan on using your guest bath as a place to learn and experiment, taking the lessons out into the other rooms in the house for more practical application. If something doesn’t work, think about what is causing the imbalance and try again.